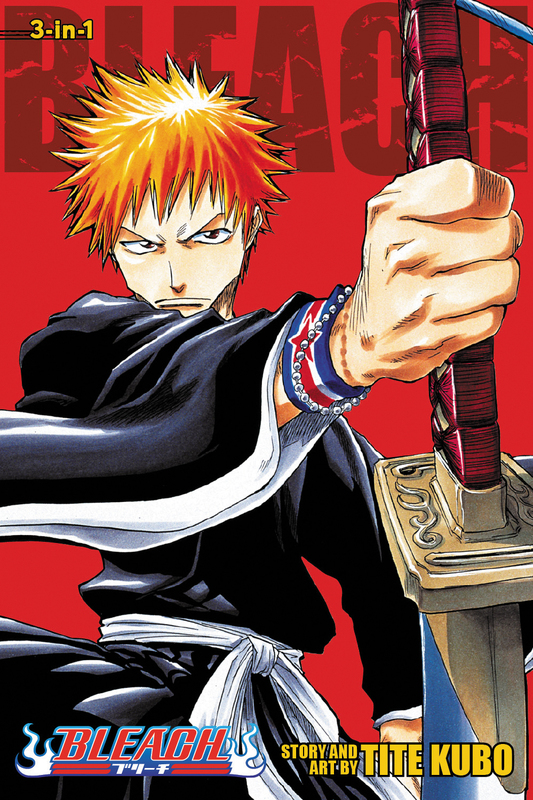 The sword-wielding afterlife adventure just got bigger with this collection of Bleach volumes! Containing volumes 1, 2 and 3 of Bleach! Ichigo Kurosaki has always been able to see ghosts, but this ability doesn't change his life nearly as much as his close encounter with Rukia Kuchiki, a Soul Reaper and member of the mysterious Soul Society. While fighting a Hollow, an evil spirit that preys on humans who display psychic energy, Rukia attempts to lend Ichigo some of her powers so that he can save his family; but much to her surprise, Ichigo absorbs every last drop of her energy. Now a full-fledged Soul Reaper himself, Ichigo quickly learns that the world he inhabits is one full of dangerous spirits, and along with Rukia--who is slowly regaining her powers--it's Ichigo's job to protect the innocent from Hollows and help the spirits themselves find peace. The paranormal action-adventure begins now!